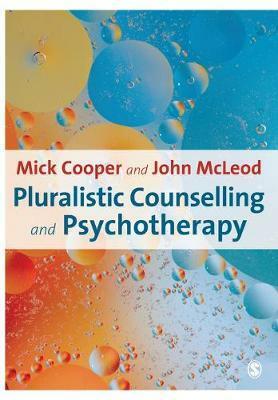 Mick Cooper and John McLeod pioneer a major new framework for counselling theory, practice and research - the 'pluralistic' approach. This model breaks away from the orientation-specific way in which counselling has traditionally been taught, reflecting and responding to shifts in counselling and psychotherapy training. As accessible and engaging as ever, the authors argue that there is no one right way of doing therapy and that different clients need different things at different times. By identifying and demonstrating the application of a range of therapeutic methods, Pluralistic Counselling and Psychotherapy outlines a flexible framework for practice within which appropriate methods can be selected depending on the client's individual needs and the therapist's knowledge and experience. This is a must-read for anybody training or practicing in the counselling or helping professions - it should not be missed!